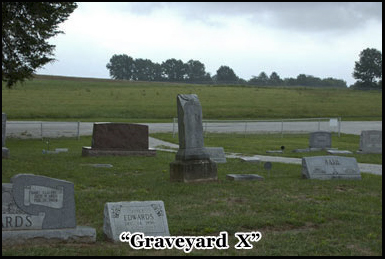 Graveyard X is a highly paranormally active cemetery in haunted Illinois whose exact location is a closely guarded secret. Greenwood Cemetery is in Decatur and home to several ghosts including those of confederate soldiers and the “phantom bride”. 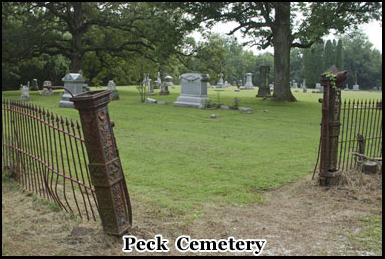 Peck Cemetery is an isolated rural Cemetery near Cero Gordo where satanic rituals and numerous apparitions have made this one of Illinois most haunted locations. The Massock mausoleum is near Spring Valley in central Illinois, and tales are told of deathly white figure said to be a vampire that walks among the broken tombstones that surround it. I was on the second day of my visit to Chicago and Illinois. Today I planned to visit four of the states most haunted cemeteries. 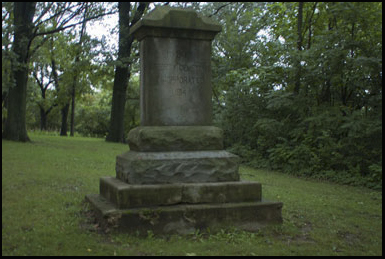 Two were within close proximity to Decatur, one the Massock Mausoleum was to the north and the other known as “Graveyard X” was to the south. The weather was somewhat overcast and rain was predicated later on in the day but as I headed along the freeway there were occasional patches of sunshine breaking through the clouds. The first cemetery I would be visiting was one that in paranormal circles has been referred to as Graveyard X. By all accounts those that have been able to locate it report that it appears to be highly active. The secrecy surrounding it has not only added to its mystique, but been a deterrent to the casual thrill seekers. Only those more interested in serious paranormal research and that are prepared to put in the time and effort will find it. There are ways that its whereabouts can be researched, and I received confirmation from a reliable independent source that my research was correct, but they also requested that I don’t reveal the graveyards exact location. I left Chicago about 6.30 am in the morning and after a few hours of driving I exited the main freeway and cut through the outskirts of town until after about 15 minutes the road narrowed and the population dwindled. There were now only a few small farming communities spaced several miles apart and on either side just cornfields or the occasional grain silo, soon I was over 20 miles from any major city. Graveyard X first came to my attention on an internet forum about haunted Illinois. I became aware that it was in Southern Illinois via some further investigation, and if there is one thing more intriguing then a haunted graveyard it’s a secret haunted graveyard. Although I was sure the information I had gathered and my source was reliable I printed out some of the few available pictures of Graveyard X so I could match up any landmarks if and when I actually found it. But even with a map it’s still extremely difficult to find. In the more rural areas of Illinois many of the streets are little more then dirt tracks and there were several that I was looking for that weren’t even marked. I knew I had overshot the turnoff when I came to another small farming community that I knew to be a few miles beyond the graveyard. I turned the car around then drove slowly back up the road. Most of the streets in the area don’t have names but are marked just with reference numbers. I finally came across one that corresponded to the map I had, but its prefix was north not west as indicated. To my east ran a railway track but I knew the graveyard was to the west. I made a left turn from the main road and headed north. On either side of me were high hedgerows that I couldn’t see over, but I was now attempting to match the curve of the road with where I thought I was on the map. I had to rely on one I had printed via the internet as the Illinois state map I had didn’t go into enough detail. But internet maps are not always that accurate as I was finding out. After about another 1/4 of a mile I came to a turn and although the intersecting road was not marked with a name or number, it did appear that I was going in the right direction. I drove on for about another half mile, and I was now traveling parallel to the main highway but deep in the surrounding countryside. Up ahead of me were another junction and a few houses along one side. I could track the turn of the road on the map as I made a left then a few hundred yards further on a sharp right. It did seem like an unlikely place for a cemetery, I knew it wasn’t abandoned from the pictures but it certainly wasn’t near anywhere which had a population of any significance and neither was it adjacent to any houses or a church. The road dipped and curved to the right and then just before the turn there was a narrow paved track and beside it I could see several tombstones. 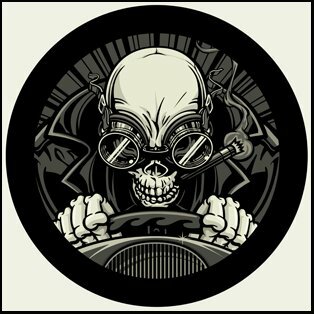 I pulled off the road; at the corner there was a sign with the name of the cemetery which was also the same name as that which I believed to be Graveyard X. I drove slowly along the track looking out through the driver’s side window. The track dead ended a few hundred yards away against a line of trees. There was no one else around and I hadn’t seen another car for about 20 minutes. On my right was an open field; at the end of the track and surrounding the rear of the cemetery were woods. I turned the car around and parked facing the road I had come in on. The first thing I wanted to do was verify this was the correct place. Aside from the sign at the entrance; I was also trying to match up the landscape and some of the locations on the gravestones I had seen in the pictures. The path I was on and the tree line at the end seemed to correspond, but what I was looking for w as a distinctive obelisk shaped grave stone that would confirm the graveyards identity. Over the low wire fence that ran along its front, I saw what I was looking for. I double checked the pictures I had with me and they were a definite match. I gathered up my camera equipment, got out of the car and walked over to the main entrance through a curved archway. The cemetery is far bigger then I expected for somewhere this isolated and you could see that it was still used for burials, as many of the graves on the nearside have baskets of colorful flowers placed on or beside them. There are two distinct sides to the graveyard, the obviously newer side where I was now and the far side near the woods where the graves are much older. Even before I had taken my first few steps inside I immediately felt there was something very strange about the older part of it, even from a distance. The atmosphere where I was currently seemed normal, but at the other end I sensed something I can only describe as sinister even though I was over 50 yards away. I had been in several old graveyards in Chicago yesterday so it’s not a case of there being something disturbing about the cemetery because the graves are old, the only way I can describe the feeling was that it was as if there was a physical energy that seemed to be emanating from the area ahead. It was as if something was hiding in the surrounding woods and just waiting for me to take even one more step towards it. I couldn’t see anything, and there were no signs of any movement. I stood completely still and listened for a few minutes, there was nothing but silence. I started taking photographs slowly working my way across the cemetery, taking pictures as I went. If I turned my back to take a photograph, I felt compelled to glance quickly over my shoulder before doing so. Out of the dozens of haunted places I have visited including castle dungeons in England and civil war battlefields in the states, I have never felt anything as unnerving. The weather was overcast but not that cold, but I started to feel chills running up and down my spine. I stopped taking pictures and moved slowly onward towards the center of the graveyard. The tombstones are much older here, and many of them are simply blank where the weather has worn the inscription away. After taking a few more steps, there became a point where I felt that I had just crossed over a threshold of some sort. As I looked one way because I felt like something was behind me, as soon as I turned my head I felt that something was now looking at me from the direction I just turned from. I started weaving in and around the graves, hurriedly snapping photographs, and then every few yards I switched to my video camera and filmed for a couple of minutes. It’s extremely quiet there are no birds singing or even the faintest sounds of passing traffic, just the sounds of my own footsteps walking across the grass. The entire rear side of the cemetery is bordered by forest that sweeps across to the far end. To the front just beyond the small access road is a field that slopes upward to the horizon, so you actually feel like you are in a dip. Behind me the main road curves off to the right through another line of trees, so aside from the seclusion there is a feeling of being boxed in. This is one of the few haunted places that lives up to the hype and in fact has exceeded it. Anywhere referred to as “Graveyard X” needed to be something out of the ordinary and whether or not I actually captured anything on film or video just the satisfaction of first finding it, and then it being as strange and mysterious as it was turning out to be, made the effort all the more worthwhile. I walked on down to the furthest most corner away from the entrance and nearest to the trees. 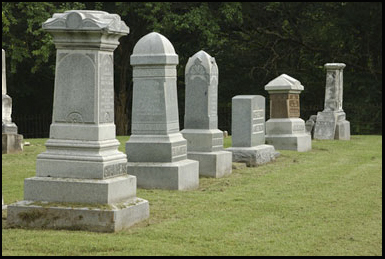 There are several small blank gravestones and 3 much larger ones standing in a short row right against the perimeter. Whatever the energy was surrounding me it felt so intense at this point that it was almost as if it could be physically measured. There was another grave in front of me and I recognized the na me on it from some of the previous research I had done. At this point the ground slopes away at the far end down to the beginning of the forest, this and the overhanging trees does make the feeling of gloom and the sense of isolation even more extreme. There is a tangible contrast from this side of the cemetery to the other. In the newer section there are baskets of colorful flowers on almost every grave and it is physically brighter, it still seems like a place that people visit, but over here only a short distance away it feels like it is somewhere that has been forgotten. This contrast does undoubtedly account for some of the psychological effects of what I may be experiencing, but the sense of foreboding goes far beyond that. I walked in and out of the gravestones, I had been here almost 40 minutes and there were still no signs of anyone else in the area and certainly no cars had passed by on the road that ran along side. I started to head back towards the other side of the cemetery and as soon as I did the strange energy almost instantly started to fade out. After a few more minutes photographing the graveyards newer section, I left via the main gate, walked back down the path and reentered the old section from a different direction. After a few steps the wave of negative energy started sweeping over me again, only to depart when I once more stepped out of range. The sky’s had darkened and I begin to feel a few drops of rain. I still had 3 more cemeteries to visit that day on my trip through haunted Illinois so I headed back to the car. Out of the many haunted and strange places I have visited Graveyard X is one that still stands out. It’s mystery continues to grow even to the point that if you think you may have found it, and attempt to publicly reveal it’s location people have even posted disinformation to convince you that you haven’t. I’m sure its mystique has had the opposite effect of discouraging people to visit it. But the effort you have to go to, to actually find it will at least attract the more serious researchers and not those that just want to have a few beers and a night out in a haunted graveyard. I got into the car, and circled around to head back the way I came, glancing in the rear view mirror to take one last look at Graveyard X. It’s really not close to anywhere, so I don’t know when I will be out here again, but it was certainly a trip worth taking. At a later date I did get back in contact with the source that had confirmed the graveyards location and they also described getting a very strange feeling in the older section of it as I had done. And although this is not physical evidence, it was at least secondary verification that what ever lies among the tombstones may be just more then imagination. My next stop on my journey through haunted Illinois was some distance away and I had a lot of ground to cover, but eventually the farmlands once more gave way to the more urban parts of the state. The place I am heading for is Decatur, which is also the location of Greenwood Cemetery. 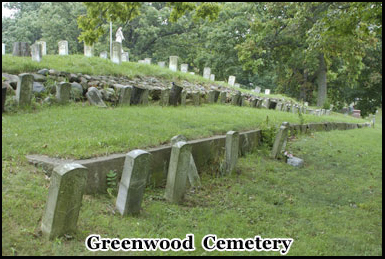 The city has many cemeteries but Greenwood is one of the largest and also the most haunted. It’s just on the southern outskirts, boarded on one side by a river and on the other, a now largely residential area. Hidden among the houses is the main entrance, I passed through the gateway and parked o n the street a few yards beyond. Next to the entrance there is a site office where I stopped to get directions and see if there was a map of the cemetery layout. Greenwood cemetery is vast, and several of the older sections are on hills that slope down to the newer area on the far side. Between them the narrow road snakes through the grounds leading off in different directions which makes navigation difficult. The cemetery was originally established in the 1800’s and many of the dead buried here are from the civil war. Over several years during the 1950’s it was completely abandoned, but since then it has been restored and burials once again take place here on the flatter areas along the eastern side. The three main places I was interested in, were the civil war section where phantom confederate soldiers have been sighted, Barrackmans staircase which is haunted by a woman in white, and the area around what used to be a mausoleum where people have heard ghostly screams. Other well known paranormal activity in the cemetery includes that of a woman in a bridal dress, and ghost lights that have been sighted on the hills at the far end of the grounds. The staff at the site office were extremely helpful and provided me with a map of the cemetery, drawing in directions to the places I had asked about. The grounds are far to big to walk around unless you have a few hours to spare, which I didn’t, so I got into the car, drove a few hundred yards along the road and then got out to shoot some pictures and video. The only person I encountered while I was there was a gardener mowing one of the grass banks, but aside from that the cemetery was empty. The graves are laid out in a far more random pattern then most of the cemetery’s I had visited in Chicago over the last few days, and the hills and curves of the road gave it a feeling of seclusion despite being within close proximity to the city. I got back in the car and drove further along the trail, the first stop I came to is what is known as Barrackmans steps. Just to the left hand side on a corner, is a small flight of stone steps that leads down from the embankment; above them are 4 graves engraved with the name Barrackman. I stopped and walked to the front of them. The ghost that has been sighted here is that of a woman crying, she is normally seen just as the sun is going down and then she vanishes. It’s not known if she is one of the women actually buried in the Barrackman graves or if she is even buried here at all. To my right the ground slopes down sharply towards the perimeter where there is a line of trees. There is a sense of detachment about the cemetery that reminds you that it belongs to a different era. It has a very Gothic feel to it and its landscaping makes it somewhat unique compared to most of the others that I have visited recently. Returning to the car I followed the directions on the map I had been given, driving slowly along the road as it led down between the grass banks that were on either side of me. There was an American flag and a stone monument sitting on the top of the hill to my right. This is where the civil war dead are buried. I parked and made my way around to one end. Nearby stands the railway line once used to bring Confederate Soldiers here for burial, and many are still in unmarked graves somewhere in the area I am standing. Above me several more graves are scattered randomly along the slopes. I climbed to the top where there was a long line of small identical tombstones that had been there so long that the inscriptions were impossible to read. It is here that people have sighted the ghosts of confederate war dead. At the crest of the hill where the ground flattens there is a memorial and on one side a cannon points down into the valley below. At this point the cemetery is fairly close to a river that runs along the other side of the road just beyond its grounds. Many years ago during a severe storm the river flooded and parts of the cemetery’s banks were washed away and along with it the remains of both confederate and unions troops. This may account for the high level of paranormal activity that has been experienced here after the soldiers were disturbed from their final places of rest. Standing on the top of the hill I could also look north across to the cemetery’s far side. This is where there have been reports of “ghost lights” hovering around the gravestones. There could of course be natural explanations for them such as methane gas, or perhaps just optical illusions created by distant car headlights, but there have been sightings dating back to the turn of the last century. The final stop at Greenwood Cemetery was the former location of the old mausoleum. I drove a few hundred yards along the trail to the left and parked on a side road. It was here that there used to be a vast white mausoleum, but during the time the cemetery was abandoned it fell into decay and in 1967 it was demolished. What are left are just the remains of a low lying brick wall that were once its foundations. Within the outline of the foundations are a line of gravestones, it was here that many of the unclaimed body’s that once lay within were reburied. But even before it was knocked down there were reports that people heard unexplained screams coming from inside. Walking along the embankment between the grave markers you can trace the buildings outline. The vaults inside were once stacked several feet high almost to the ceiling and must have held dozens of body’s. Perhaps the mausoleums former inhabitants are no longer at peace after the place where they thought they would spend eternity was demolished around them. 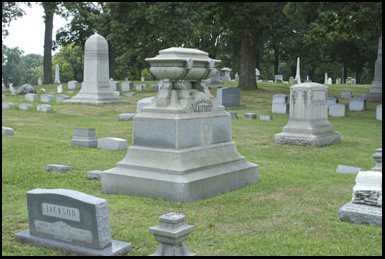 Greenwood Cemetery is one of the oldest in Decatur and in its prime it was a place where people would picnic among the tombstones when they came to pay their respects. Now it has been restored to at least some of its former glory, and the sweeping hills and winding tree lined paths that cross it still make it an interesting destination. Amongst the cemeteries numerous other ghost stories one of the most well known is that of “the phantom bride”, a young women in a white bridal gown that has been seen walking amongst the tombstones. Like many ghost stories the facts behind it are difficult to verify. But the most common version tells that the day before she was to be married, the “phantom brides” future husband was murdered and in a fit of remorse she drowned herself in the same river where his body was found. The bride’s parents then buried her in the gown she would have worn at her wedding. I took a few more pictures from the top of the hill above the mausoleum and then headed back down the grass slope to the car. I completed the loop back to the cemetery entrance. Next stop was Peck Cemetery several miles to the east near the small town of Cero Cordo. Peck Cemetery is extremely hard to find, much like Graveyard X it is in a rural part of Illinois and far from any major roads or City’s. After doing some research I had managed to pinpoint it’s location on a map and I was now heading along a single track lane that lead between two corn fields. After a few more miles the road passed through a wooded area and then after a right turn down a side road I passed by a row of several small houses. There weren’t any sign posts to confirm my location but I was able to track my position by following the way the road ran on the map. I made a left turn and shortly afterwards the road curved back to the right, I knew somewhere just beyond the curve was the cemetery. From the information I had, I knew that there was a house that sat along side the path that led to the entrance. The problem was that there were several houses that seemed to be adjacent to driveways that could lead to Peck Cemetery. I had expected it to be accessed via a paved road rather then a gravel path but this was clearly not the case. I reached the end of the row of houses, realized I had obviously passed the cemetery so I turned around. I drove back and forth along the road a few more times until I came across a man cutting the lawn in his front garden. I asked for directions and he told me the entrance was two houses down. It looked as though I was turning into someone’s driveway so I still wasn’t entirely sure that I was going the right way until about 50 yards beyond I could see that the track continued through to some woods. Just as I had almost reached the end, on the left there was a wrought iron fence and my first glimpse of some gravestones told me I had found what I was looking for. At night it must be a very desolate place, but even in the day it is completely hidden from the road, on 3 sides it is boarded by woods and the closest house is several hundred yards away. Due to its seclusion the cemetery has had a history of vandalism and it is believed that occult practices have taken place here. It is rumored to be haunted and there have been reports dating back over many years of full apparitions, phantom lights and ghostly screams coming from inside. At one corner of the cemetery is an opening between a two Iron Gate posts. I’ve heard that the cemetery is locked at night and that police patrol the area to prevent any further vandalism, but there looks like there may be other ways to reach it via the surrounding forest so it is probably still possible to enter it unseen. As I walked through the entrance I could see that Peck cemetery certainly wasn’t completely abandoned. Although most of the graves looked like they had been there for many years, the grass had been cut fairly recently. The cemetery covers a fairly extensive plot of land and has only has a small number of graves for its size. 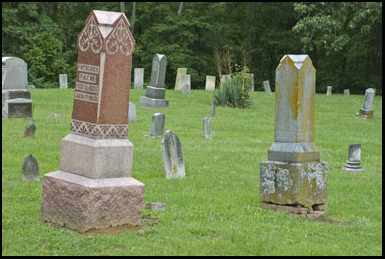 There are several lines of tombstones consisting of large grey marble obelisks interspersed with smaller less elaborate markers, many of which date back to the 1800s. The branches of the trees from the wooded surround extend into the cemetery giving it a somewhat claustrophobic feel. There are a few graves by the entrance and along the left hand side, but there is a large gap on the right where there is nothing but grass. Many of the gravestones have the word “Peck” on them so I assume they were the family that established the cemetery. There are also Civil War era graves which list the soldier’s name, and rank and have a symbol of what looks like two crossed cavalry swords. There are signs that several of the graves have been vandalized, some just lie where they fell or were pushed, and others have been pieced together on the ground in an attempt to form a complete stone. There is a grave at the entrance that is just a pile of brick size pieces of tombstone piled on top of one another, and towards the rear there are several flagstones that are cracked in half. The sky had been overcast for most of the day but for a brief moment of about 10 minutes the sun came out and I was able to get some pictures of the cemetery without the perpetual gloom that had so far hung over it. The sun soon disappeared back behind the storm clouds and I felt a few drops of rain. Walking on through to the far end I could see several gaps in the iron fence, and pathways through the trees that disappeared deep within the woods. It is not known if the satanic worship that once took place here still occurs and if it did, how much of it was actually just scare stories to enhance the experience of visiting a haunted graveyard. But a statue that once stood in the cemetery was “beheaded” and red paint splattered upon it to look like blood, but it has since been removed. Many of the graves are so old that the names on them have been eroded by the weather, a few of the larger marble ones looked like they had been restored at one time, as the writing was still clear despite their stated age. It was about 4 pm and the rain was coming down much harder, I still had over a hundred miles to cover on my haunted Illinois road-trip so I headed back to the car. I reversed back down the small track I had come in on, and then stopped on the side of the road for a few minutes to check the map for the nearest freeway entrance. I was heading towards a place called Spring Valley Illinois, specifically the Old Lithuanian Cemetery which contained the Massock Mausoleum. After about half an hour on the freeway the rain had became so heavy that it was difficult to see more then a few yards ahead, the sky’s had blackened and I had to switch on the car headlights. By this t ime it was about 5 in the afternoon. I was trying to make the Massock Mausoleum before it got completely dark as it’s more difficult to take pictures in low light. The rain slowed my progress considerably and by the time I got to Spring Valley it was about 7 pm and the sun had almost set. The Massock Mausoleum is another of those places that you have to research and cross reference with internet maps in order to find it. The road I was looking for ran across the topside of town towards the east, I headed north hoping that the road where the cemetery was located would intersect it. I passed through a residential area and after about a mile the road sloped upwards to the top of a hill, where I made a right turn. It then curved downwards past several houses and then a few hundred yards on the left, there was a small clearing in the trees and a couple of fence posts with a rope stung between them. I knew from previous descriptions that this was the hidden entrance to the cemetery. There isn’t anywhere to park except to pull the car up tight to the grass verge in front. From the street you can’t see any of the graves and you certainly wouldn’t suspect that such an elaborate mausoleum was hidden behind the trees. Listed on the majority of websites about haunted Illinois is this this cemetery. But what makes it different is not just that it may be haunted but that it is also supposed to be home to a vampire, specifically one that lurks inside the large stone crypt known as the Massock Mausoleum. This is where the three Massock brothers were buried and legends tell that the crypt drips blood, and that a gaunt white figure has been seen roaming the cemetery before returning to its dark lair within. Heading from the car towards the entrance is like walking into the mouth of a tunnel. There’s just a small gap in the trees and beyond that is a hill that slopes up beneath more trees. It’s now almost dark, and it instantly becomes much darker. It had stopped raining but the ground was still damp and muddy. The cemetery consists of no more then a few dozen graves but what does stand out is the mausoleum. It’s up to the right, on the slopes of the grass bank several yards from the entrance and it completely overwhelms the rest of the cemetery. 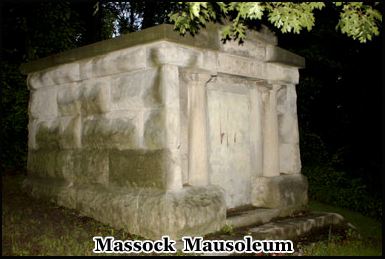 In large letters just below its stone roof is the name “Massock”. I connected the external flash to my camera and took a few photographs. The intense white bursts of light bounced off the mausoleum throwing shadows across the tombstones. As I walked up the hill towards the crypt I could see that someone had thrown red paint across its now ceiled entrance, so it looked like blood splatters. The mausoleum is a weathered stone building about 10 feet high and 12 feet long with a split level roof and a thick concrete door cemented in between two stone pillars. I stood on top of the steps in front of it, seeing if there was anyway to look inside but it all seemed to be secured. I walked completely around its perimeter, but the only break in the stonework was a small slot just below the roof which was too high up to look through. I don’t think anyone has been buried here recently and it does seem like a strange place to put a graveyard, there’s no parking and it’s hidden at the edge of town. To the left and up the hill, there are what look like some fairly modern houses that overlook the rear of the grounds. Perhaps at one time it was a centre of a community, as many of the graves date back to the 1800’s, but now it probably only attracts the curious, and thrill seekers drawn here by tales found on the internet. I’m sure that this is a place where the local kids come to scare each other, and that the adjoining neighbors will be fairly quick to call the police on anyone they see here after dark. Several of the graves are cracked in two, but this may just be due to their age as opposed to vandalism. I didn’t see any no trespassing signs, and the only attempt at keeping people out is the frayed piece of rope strung across the entrance between two fence posts. 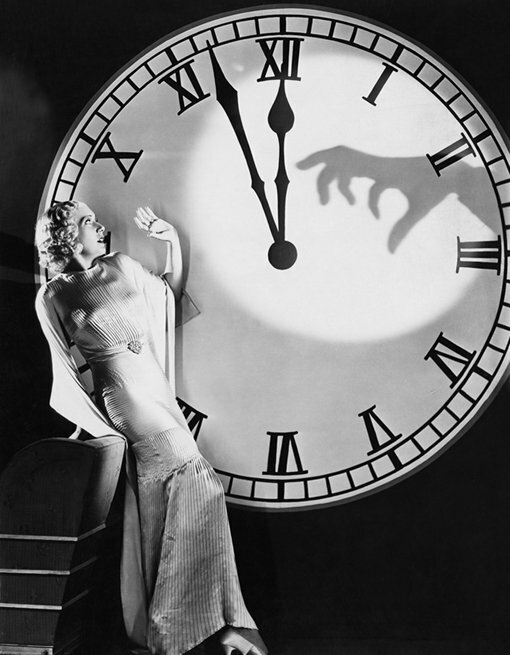 The sun has set and it’s now pitch black, but still no signs of the vampire. I stood beneath the trees next to the mausoleum, the rain still dripped from their branches after the earlier downpour. After about 10 minutes my eyes begin to adjust to the darkness. Towards the very rear of the cemetery there is a faint glow from the lights of the houses on the other side of the bank, but apart from that everything is just a silhouette. Do I expect to see a vampire? Of course not, but its all about the chase and the things you get to do along the way. It was starting to rain again and with still a few more hours drive to Chicago it was time to head home. I walked back on down the hill, glancing behind me into the darkness. It had been a long journey covering almost three hundred miles around haunted Illinois. Certainly the trip will rank among one of the most interesting, and I can’t help but wonder what lurks near the tombstones in Graveyard X now that nighttime is here. Hey Buddy!, I found this information for you: "Graveyard X And Haunted Illinois". Here is the website link: https://www.chasingmidnight.com/graveyard-x-and-haunted-illinois. Thank you.